Hi everyone I hope you’re well. I love trying new hair products so I was very excited when STRUCTURE sent me one of their new products to try. My hair is a combination of straight, frizzy and wavy which is very annoying. If I leave my hair to dry naturally it has a slight kink and wave; if I blow dry my hair it can turn into a puff ball so I spend ages blow drying my hair straight and running my straighteners through it as well. This is the only way my hair stays straight- unless it rains or is very humid then it’s a bit of a nightmare. I have been using STRUCTURES straightening moose and I find it works really well with my hair and helps keep it straight without needing to always go over it with my straighteners, which is perfect if I am in a hurry. I squeeze a small amount into my hand and run it through the ends of my hair after I have washed it, and then blow dry it straight. 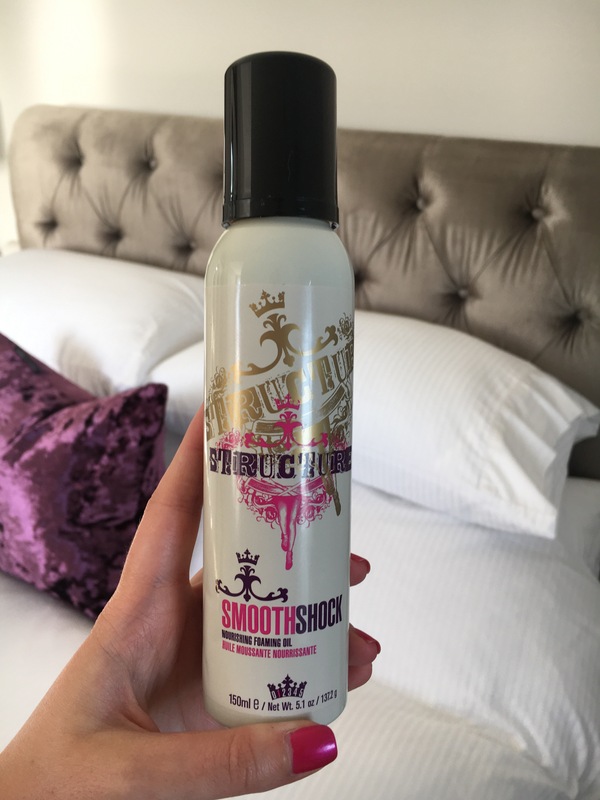 It keeps my hair smooth and straight all day and has become a daily essential of mine! It also smells really nice and doesn’t make my hair go greasy or crispy! You can buy this product from their website http://www.structurehair.com. This is not a sponsored post, this product was sent to me to review and this is my honest opinion.